I started a new quilting bee from talking with some of my friends on Twitter and we decided to call it Bee Tweet. It started the year off in May for Erin's block. She wanted scrappy crazy blocks as seen here. It was a really fun block to make. 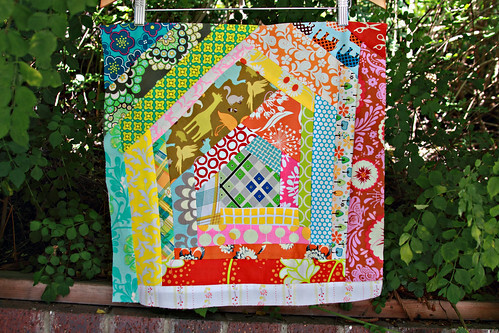 I loved adding in my own scraps along with the ones Erin sent. A large block at 17.5" I highly recommend this block it is a ton of fun to make. For June it is my month. I purposely gave myself June since it was already scheduled for my month in my other bee, Bee Outside the Box. I thought might as well make them all the same month and have more blocks for one quilt. 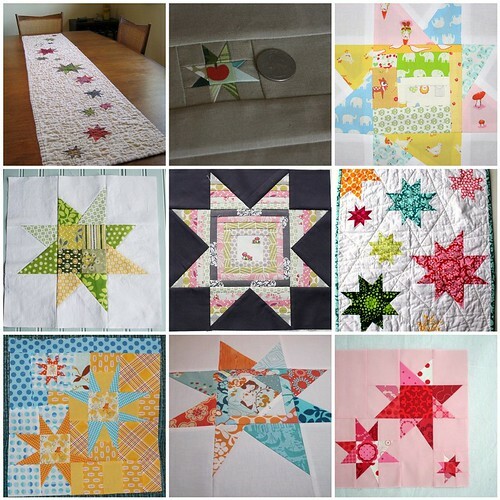 I decided on Wonky Maverick Stars since I just love them and wanted a quilt from them especially once I saw this quilt. I made a mosaic for everyone to get a feeling for what I wanted. 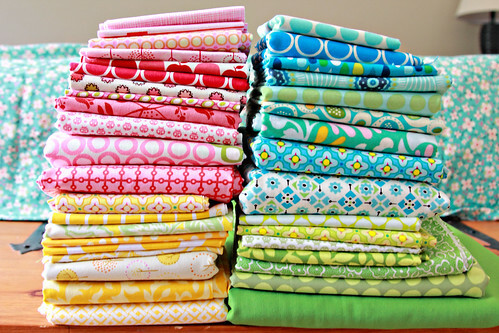 Mailed out this stack of fabric along with a bit from Far Far Away 1 & 2 from Heather Ross for the centers of the star. I made one block myself so that everyone could see it all put together. 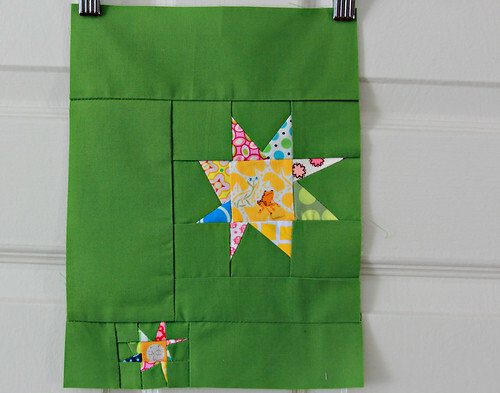 I really want this quilt to be random stars that are off center since I think it is really fun. I can't wait to start seeing these blocks pop up in the group of flickr and have it all come together!